webOS tablet arriving Q1 2011? 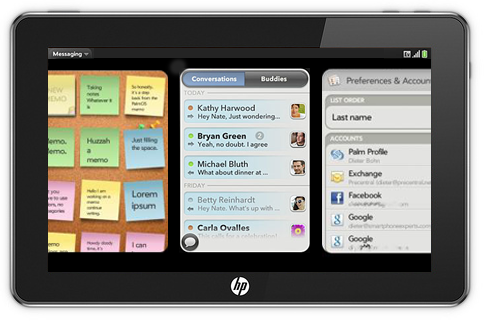 We've never felt that confident about rumors that the 'Hurricane' webOS tablet would land in Q3 2010. Now Engadget is reporting that none other than VP Todd Bradley spoke up during an HP all-hands meeting yesterday and said that 'Hurricane' is coming in a much more reasonable timeframe: the first quarter of 2011. So now the question is: will it really be called the PalmPad? Oh, and will webOS 2.0 have all the features we think it needs to be tablet-ready?